One of the best-known student activists from the school shooting in Parkland, Florida is calling for a boycott of BlackRock and Vanguard. On Tuesday, David Hogg said on Twitter the giant investment management companies are "two of the biggest investors in gun manufacturers," and customers should take their business elsewhere. Both companies have faced pressure from gun control advocates to divest from gun stocks since the shooting at Marjorie Stoneman Douglas High School in February. BlackRock is the top shareholder in gunmakers Sturm Ruger (RGR) and American Outdoor Brands (AOBC). It's the second-largest shareholder in Vista Outdoor (VSTO). Vanguard is the second-largest shareholder in Sturm Ruger, and the third-largest shareholder in American Outdoor Brands and Vista Outdoor. A Vanguard spokesperson said that most Vanguard funds "do not have exposure to gun manufacturers," and that 359 of its 388 funds do not directly invest in Sturm Ruger, American Outdoor Brands or Vista Outdoor. Investors can also put their money in a Vanguard social fund that excludes gunmakers. "Importantly, Vanguard is taking action, meeting with the leaders of gun manufacturers and distributors," the company said in a statement. "We want to know how they will mitigate the risks that their products pose and how they plan to help prevent such tragedies from happening again." BlackRock declined to comment on Hogg's tweets, but pointed to the action the company has taken in recent months on gun issues. Earlier this month, BlackRock said it will start offering gun-free retirement funds in response to consumer demand, as well as additional funds that do not include gun stocks. The company has also engaged in policy discussions with weapons manufacturers and distributors. 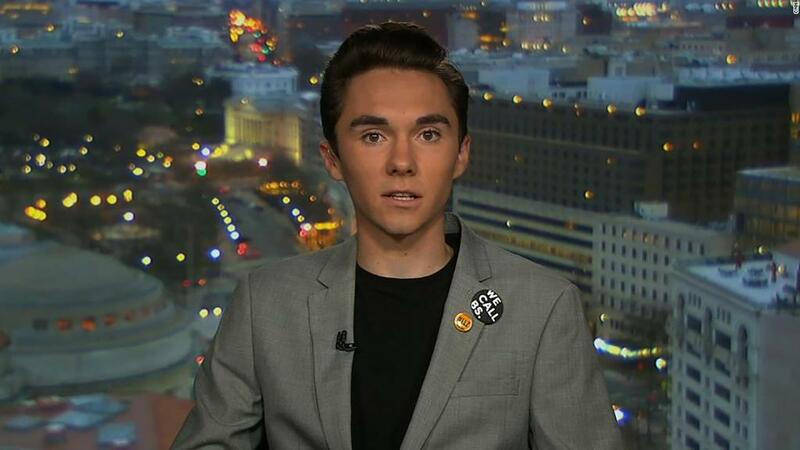 Hogg previously helped lead the charge against a number of companies with ties to the National Rifle Association, including FedEx (FDX) and Hertz (HTZ). In recent weeks, Hogg spearheaded a push for advertisers to boycott Fox News host Laura Ingraham's show, after she mocked him for not getting into several colleges. Some of the network's regular advertisers avoided "The Ingraham Angle" as a result.